Today in Kramatorsk was held solemn ceremony of rewarding the winners of the regional contest “Young Man of the Year 2017” dedicated to the Day of Youth. 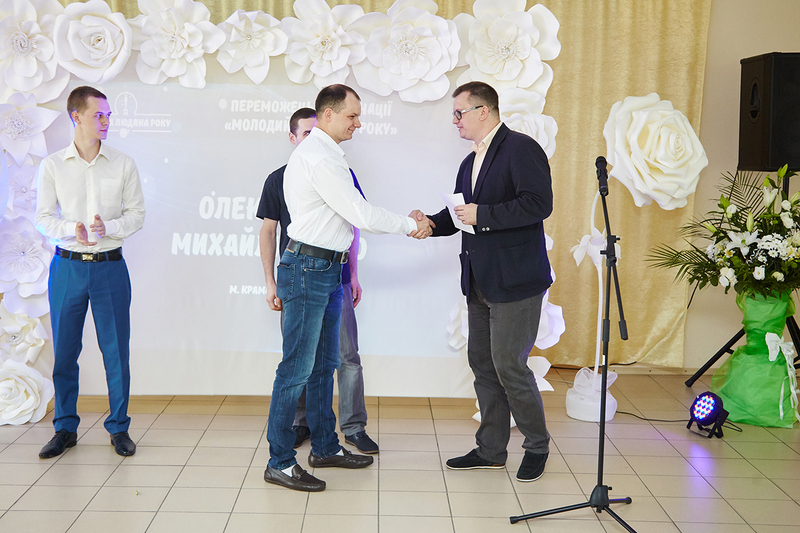 Among the winners and laureates of the competition were employees of PJSC “Energomashspetsstal”. Every year, the Department for Family and Youth Affairs of the Donetsk Regional State Administration gathers the most successful and active youth representatives in order to choose the best of the best. This year, 17 professional nominations were announced in the program of the competition. Among the nominees were journalists, rescuers, metallurgists, doctors, machine builders, scientists and other young figures from different cities of the Donetsk region. From Energomashspetsstal, four applicants were represented to participate in the contest ” Young Man of the Year 2017″. 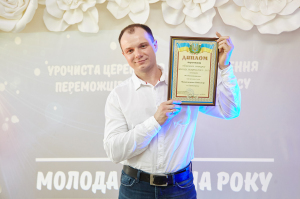 The nominees in the category “Young metallurgist of the year” were the senior foreman of EAFS Alexander Mikhailichenko and the engineer-technologist of 1 cat. TDFP Ivan Linnik. In the nomination “The young machine builder of the year” – the head of the MS Vladislav Furdykh and in the nomination “Discovery of the year in the field of sports”, turner-borer on CNC machines of the 4th category of MES Igor Shkodinov. 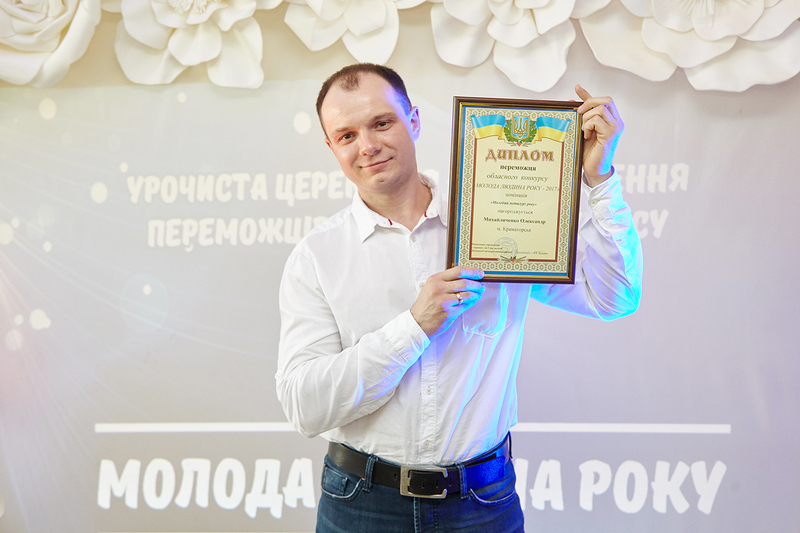 According to the results of the contest program, Alexander Mikhailichenko was recognized as the winner in the category “Young Metallurgist of the Year”. Alexander started his working career at EMSS in 2001 from the position of the steel smelter in the electric arc furnace shop. In December 2007 he was transferred to the EAFS master’s assistant, from 2008 – EAFS foreman, from 2011 – senior master of the EAFS casting section. Under the leadership of Mikhailichenko, the siphon filling of round bars with a weight of 8.36-21.9 tons was successfully introduced in the bottling section, and the casting of large-tonnage ingots 290-415 tons in vacuum, which is a record indicator for the countries of Eastern Europe. All the winners and laureates of the contest received Diplomas and prizes.